"Travel and explore the world with us - Emporios Bay "
Wheel the World is a project created by two young Chileans, Álvaro Silberstein, whom a traffic accident in 2003 when he was 18 years old left him quadriplegic and prostrate in a wheelchair, and his friend and partner Camilo Navarro (without disability). Silberstein was – and still is – a great passionate about sports and nature and vowed that the accident would not take him away from these two passions. So, with money collected through a crowdfunding campaign , and their knowledge of engineering and startupsacquired in the University of Berkeley, in California, where they both emigrated to study, they acquired a French wheelchair prototype that could be developed in mountainous terrain. They tested it successfully in the Torres del Paine National Park in Chilean Patagonia, where I traveled with 10 old schoolmates, becoming the first person with this disability to complete the trekking around the famous towers. Then, with the project already perfected, they presented themselves to the administrators of the citadel of Machu Picchu, who welcomed them with open arms. “Peru has always been participatory with this idea and has given all the necessary facilities for the development of this project, always emphasizing the respect and care of the monuments, as well as the maintenance of the normal transit of tourists”, PromPerú account in a note. The vehicle that Silberstein and Navarro use achieves all these objectives, because more than a “wheel” chair, it is a “wheel”. It has a shape more similar to a wheelbarrow than to a conventional adapted vehicle and can not be self-propelled by the user; that is, he needs at least one companion to manage it. 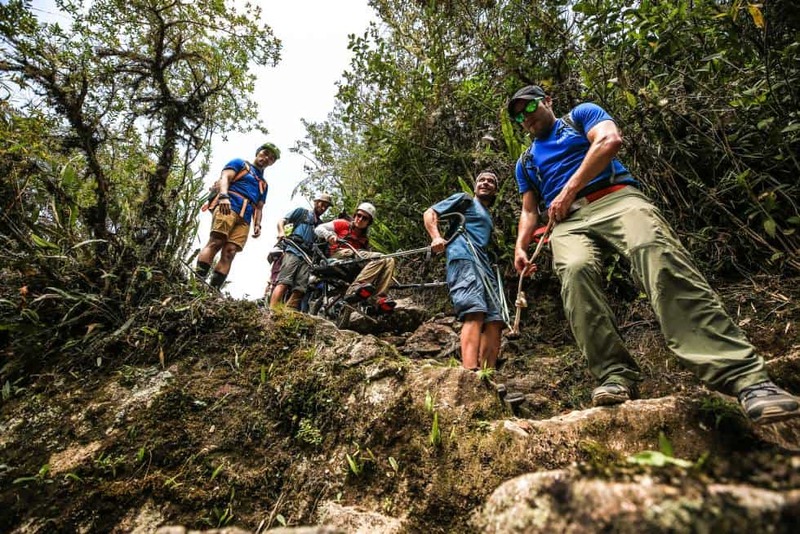 In exchange, it is so off-road that it can enter any place and allows, for example, people with reduced mobility to travel 70% of a monument as complex as Orography Machu Picchu, in an organized visit that also includes the archaeological site of Moray , in the Sacred Valley, and the ceremonial fortress of Sacsayhuamán, on the outskirts of Cuzco. The purpose of Wheel the World, says Silberstein, is to “encourage tourist activities for people with disabilities, their families and friends.” Create awareness about people with disabilities as active individuals seeking to live a full life, and inspire with stories of self-improvement, companionship and love”. To do this, in addition to developing special vehicles for people with special requirements, they have also established themselves as a tour operator focused on inclusive tourism. 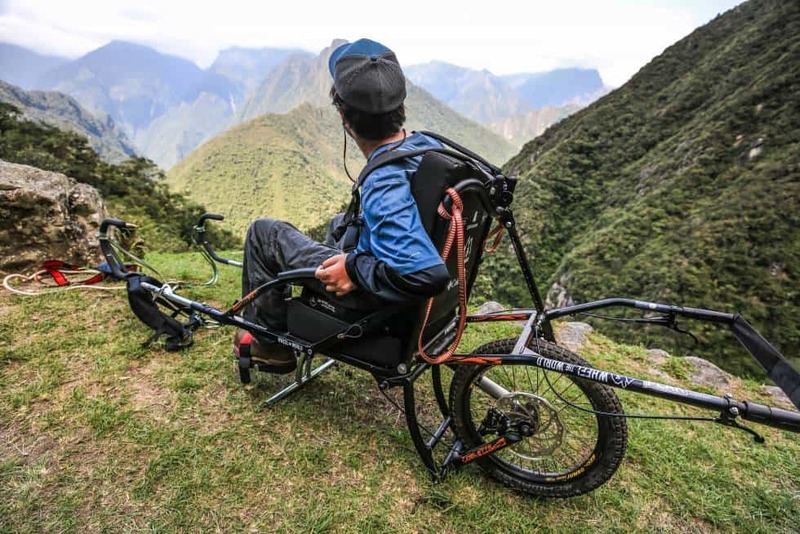 The monorueda chair with which Silberstein climbed Torres del Paine cost 8,000 euros, but potential users in Machu Picchu and other tourist sites do not have to buy one. Wheel the World is reaching agreements with national parks and archaeological centers in Latin America to leave there chairs (and even adapted kayaks and bicycles) that customers will use. For now, in addition to Machu Picchu , where you can hire programs from one to six days that include the citadel, Cuzco and the Sacred Valley, Wheel the World offers programs for people with reduced mobility in Chile (Valparaiso, Torres del Paine , San Pedro de Atacama and Easter Island ) and in Oaxaca (Mexico). Faith of errors: in a first version of this text it was said that the all-terrain wheelchair was an invention of Silberstein and Navarro. It is actually a French design, called Joëlette, which is used for hiking with disabled people. They have adapted it for their project to make accessible places and monuments of Latin America that were not.